Blowout Sale! Up to 59% off on Touchup Paint at Beaver County Collision. Top brands include Mopar, Ford, Dupli-Color, 3M, Mazda, Nissan, Honda, Yates Performance, Colorbond, ACDelco, Motul Oil, & ColorRite. Hurry! Limited time offers. Offers valid only while supplies last. ColorBond (3036) GM Dark Ash 2014 LVP Leather, Vinyl & Hard Plastic Refinisher Spray Paint - 12 oz. 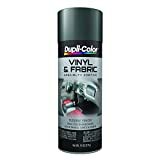 Dupli-Color EBCP10100 Yellow Brake Caliper Aerosol - 12 oz.